The rapid growth of coaching — including internal coaching — is in response to twin challenges confronting most organizations: the need to develop leaders faster and the pressure to adapt to an increasingly VUCA and global business environment. Coaching initiatives have become significant line items in the HR budget, raising their visibility with those responsible for ensuring the organization is receiving a return on its talent development initiatives. 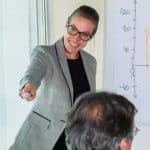 This puts ever more pressure on coaching program managers to “get it right.” In many cases, it means implementing an evaluation strategy that assesses their participants’ progress and their coaches’ performance and that also enables them to make a strong business case for the ongoing investment. Interim Evaluation — usually conducted once about midway through the expected lifespan of a coaching engagement, but may occur several times in engagements longer than six months. Post-Coaching Evaluation — conducted after a coaching engagement has closed, usually within three to four months, but often within a few weeks of closure. Development Progress Assessment — usually conducted during the closeout process for an engagement, but may also be conducted at an interim point in longer engagements. Your organization may not want or need all three components, depending on your objectives. For this post, we’ll focus on interim evaluation. In subsequent posts, we will tackle will tackle post-coaching evaluation and development progress assessment. Interim evaluations (also called “mid-point” evaluations) may be administered as surveys, but are often best done with higher-touch approaches. 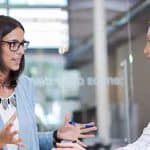 These can include structured conversations or e-mails that offer more flexibility to adapt to specific coaching situations, greater opportunity to probe for further detail when needed, and quicker responsiveness to issues and concerns. What coaching activities have you participated in since the start of the coaching process? Where are you in the coaching process? What steps have taken place since you started? What have you found especially positive/helpful about your coaching experience so far? In what ways could it be improved? What could have been done differently to make it a better or more valuable experience up to this point? What isn’t working or what could be improved about the coaching experience? What has your coach done well so far? What would you like your coach to change or improve? Overall, how satisfied are you with your coach and his/her approach so far? 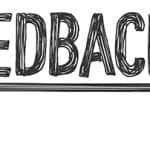 As with any survey or interview approach, people often wish to provide feedback on areas outside the boundaries of your specific questions, so it’s always good to ask for any additional comments about the person’s overall experience with coaching. Look for additional blog posts soon on post-coaching evaluation and development progress assessments. Cambria Consulting provides clients with innovative talent solutions tied to organizational strategy and that drive business results by accelerating individual, team, and organizational effectiveness.